Our bath bars are made of the finest ingredients, making them especially gentle and emollient while retaining the cleansing quality of soap. No chemical or sticky residue! Each handcrafted bar contains only high-quality skin-nourishing vegetable oils, such as coconut, olive, free-trade palm, cocoa butter and sunflower. Loaded with essential oils for a rich scented lather, naturally coloured with herbs and spices, our soaps are ideal for those who are sensitive to synthetic detergents and artificial fragrances. 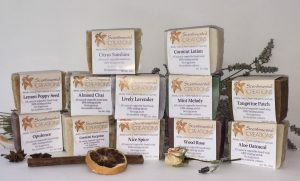 Available in Almond Chai, Aloe Oatmeal, Citrus Sunshine, Coconut Lotion, Confetti Surprise, Lemon Poppy Seed, Mint Medley, Mystic Meadows, Nice Spice, Opulence, Tangerine Patch, Wood Rose, Healthy Hair Shampoo Bar and Laundry Bar. Give your body, mind and spirit the gift of aromatherapy! Choose from our lavish collection of ready-to-use aroma body sprays, along with just about everything a body needs to feel pampered, including the ‘pick-me-ups’ as well as the ‘calm-you-downs’. From creamy cleansers to sweet earth facial masks, these elegantly formulated products are naturally nourishing for every face care need. Treat your complexion to the beauty benefits of pure botanical ingredients. Whether it’s calming sensitive skin, moisturizing dry skin or rejuvenating aging skin, there’s a beautiful solution for you. Freshen up your home with naturally eco-friendly cleaning products that are safe for the entire family. Go green with your drying routine with our wool dryer balls – nature’s fabric softener! And add some scent to your laundry care with our zero-chemical and fragrant-as-a-summer’s-day-in-France lavender dryer bags. Restore and revitalize your skin with our luxurious line of body lotions, moisturizers, butters and our famous wrinkle-repelling Anti Eight Cream. And remember, because it’s pure, a little goes a long way! Relax and indulge with our body care and aromatic bath emulsions. From beautifully- scented body butters and stimulating body scrubs, to deep moisturizing lotion bars, discover how our wonderfully therapeutic line will feed body and soul. We’ve taken the best ingredients nature has to offer and combined them with beneficial oils to create naturally effective products that pamper and soothe from head to toe. For your fur only! Formulated with specific herbs, saponified carrier oils, and therapeutic essential oils, our pet grooming products are absolutely loved by our four-legged friends! Specifically PH-balanced for your pet’s sensitive skin, and best of all, paraben-, sulfate- and colour-free. All lovingly created with your pet’s health, happiness and comfort in mind. 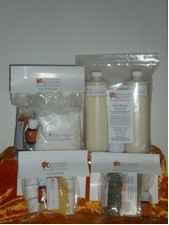 Everything you need to make your own tub treats, lip balm, herbal shampoo and soaps! Our kits come complete with pre-measured raw ingredients, containers, and easy-to-follow instructions. These fun make-it-yourself kits are attractively packaged and perfect for gift-giving! * Note: Best Blend Soap-Making Kit is for experienced soap-makers only. 100% pure minerals, hypo-allergenic and handcrafted in small batches to ensure freshness. Free of artificial colours, fragrance and talc! Brighten your face naturally with emollient feather-light bronzers, alluring lip shines, organic mineral lipsticks, naturally preserved mascaras (in brown black, blue black or black), moisturizing eye-liner pencils, a subtle concealer, and an array of sparkling eye shadows! Our Accessories section features various diffusers that naturally freshen the air in your home, office, or car. Purify the air, revitalize your mind and body, and improve your sense of well-being. Soap maker? You need a scale and a thermometer. We have both. Our Lavender sachets are Ideal for storing clothing, repel moths, car freshener, scent, freshen, and decorate a room, beautiful to look at and impart a fresh fragrance! Or place our lavender eye pillow over closed tired eyes to soothe and rejuvenate. 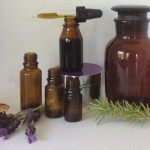 Essential oils are aromatic essences derived from portions of the plant! These plant essences come from the stem, root, bark, trunk, leaf, flower and fruit peels. 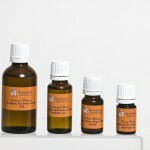 Essential oils provide effective remedies to various different physical and emotional ailments. Certain oils can ease nausea, or diminish a headache, alleviate sore muscles and arthritis, assist with busy mind and insomnia, calm a hot flash or combat a flu bug and so much more. Our essential oils are 100% pure and are highly cherished for a wide range of wellness benefits for the body, mind and soul. For prices on larger quantities, please contact us. Whether creating a custom blend or scenting your home or office with our aromatherapy diffusers, our essential oil products are safe and non-toxic.